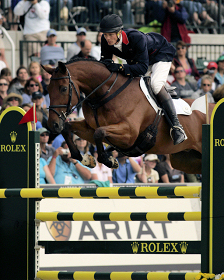 William Fox-Pitt maintained his lead to win the 2010 Rolex Kentucky Three Day Event. 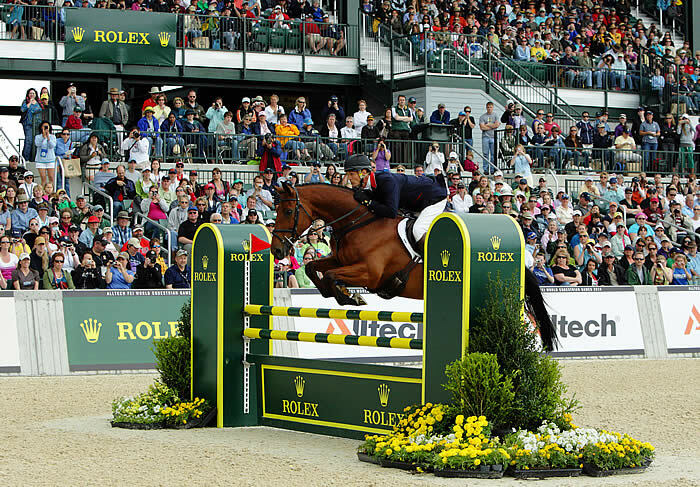 Listen in as NBC Color Commentator Donna Barton Brothers co-hosts this final show from Rolex. 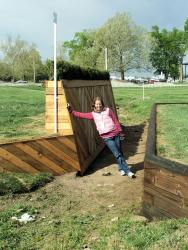 ..
Picture: They started the 2010 Rolex Kentucky Three-Day Event in the lead and finished it that way. Great Britain’s William Fox-Pitt jumped a double-clear show jumping round with Cool Mountain on Sunday to clench his first Rolex Kentucky victory. Phillip Dutton and Woodburn jumped into second place after a faultless trip, while Becky Holder caught only one rail with Courageous Comet to finish in third place. Photo by Josh Walker from useventing.com. See all of our coverage. Follow the Chronicle of the Horse coverage here. William Fox-Pitt (GBR) aboard Cool Mountain on their way to victory in the first leg of the HSBC FEI Classics™ at Lexington,KY (USA). Click on image for larger view. 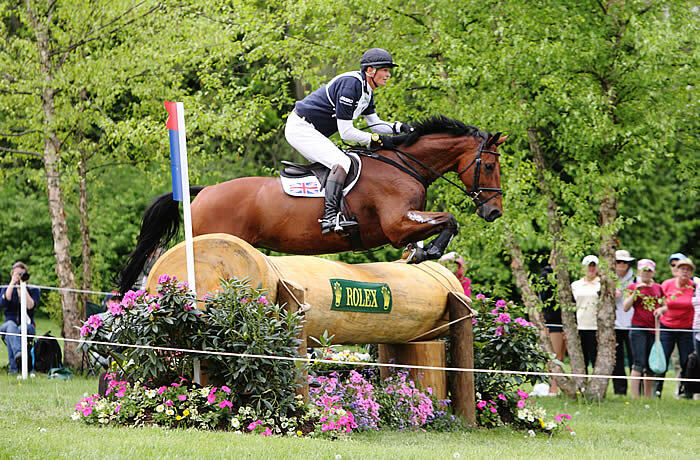 25 April 2010 William Fox-Pitt (GBR) said he did not come to the Rolex Kentucky Three Day Event with the expectation of winning, but, once in the driving seat, he was clearly not going to relinquish the golden opportunity without a fight and he now has his first Rolex watch to complement his seven other 4-star wins. And, with the choice of three good rides – Idalgo, Macchiato and Sea Cookie – at next weekend’s Mitsubishi Motors Badminton Horse Trials, he could gain a commanding advantage in the HSBC FEI Classics™, an award he won in its inaugural year in 2008. Cool Mountain, his winning ride at Kentucky, is a 10-year-old Thoroughbred gelding by the prolific Eventing sire Primitive Rising. This was his 4-star debut, having won at 3-star level, at Blair Castle (GBR) last year and been consistent throughout his career. Fox-Pitt’s nearest rival, Kimberley Severson (USA) had a most unfortunate Jumping round – a total of 32 faults (24 jumping, 12 time) and plummeted to 25th, and it was the 2008 winner, Phillip Dutton (USA), who rose three places to 2nd on Woodburn with a clear round. Becky Holder (USA) retained 3rd place on Courageous Comet with just one rail, but Boyd Martin’s meteoric rise continued, up another four places to 4th on Neville Bardos, and Canadian Stephanie Rhodes-Bosch and Port Authority continued upwards, to eventual 5th place with a clean sheet. In addition, she won the HSBC Training Bursary for the best-placed first-time 4-star competitor. Oliver Townend (GBR) was discharged from hospital in the morning, but having sustained minor injuries, could not jump his ODT Master Rose and so withdrew. 37 horses completed the competition with 9 clear Jumping rounds. As part of this partnership, HSBC is title sponsor of the HSBC FEI Classics™ and HSBC FEI World Cup™. For further information, including Rules and Standings, visit www.fei.org. Previews, reports, results and photographs for each event will be available from the FEI throughout the season. 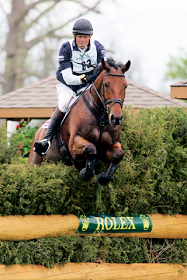 Cross Country ends at the 2010 Rolex Kentucky Three Day Event as William Fox-Pitt maintains the lead on Cool Mounting. Lucinda Green joins us to review the rides of the day and look forward to stadium on Sunday. Listen in…. Picture: William Fox-Pitt aboard Cool Mountain put in a clear and fast cross-country round today to defend their position as overnight leaders. Fox-Pitt does not have a rail in hand as he heads into tomorrow’s show jumping phase with a 42.8. Kim Severson and Tipperary Liadhnan who are sitting on a 44.8 moved up from fourth to second place with a double clear round. Becky Holder and Courageous Comet round out the top three with a 45.2. Photo by Josh Walker from useventing.com. See all of our coverage. See the entry list here. William Fox-Pitt (GBR) today, 24th April 2010, is currently lying 1st after Day Two (Cross Country) at the Rolex Kentucky Three-Day Event, in Lexington. Rolex Grand Slam contender Oliver Townend (GBR) is 7th with ODT Master Rose, but had a fall on his second ride, Ashdale Cruise Master, and has been taken to hospital. Please check www.feitv.org for broadcasting times and further details! William Fox-Pitt (GBR) has made the best possible start to the 2010 HSBC FEI Classics™ season and is poised to add the Rolex Kentucky Three Day Event (USA) to his many other 4-star trophies. A perennial visit to Kentucky, he leads the Dressage phase on the rising star Cool Mountain, a 10-year-old gelding by Primitive Rising and already a 3-star winner (at Blair Castle last year). 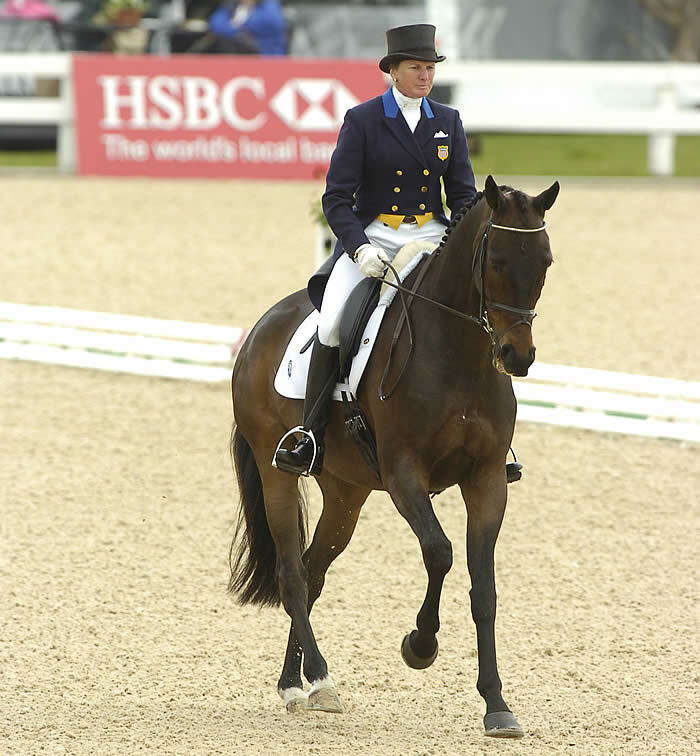 However, Fox-Pitt, who won the inaugural HSBC FEI Classics™ in 2008, has snapping at his heels the senior US rider here, Karen O’Connor on the 10-year-old Irish Thoroughbred Mandiba, who has clearly matured since he was sprung into the frontline as a youngster at the 2008 Olympics. O’Connor is in joint second place with Allison Springer (USA) on the handsome Arthur, one of the smartest Dressage horses in the business. Kimberly Severson, the 2004 Olympic silver medallist, is in close contention, in 4th place on Tipperary Liadhnan, ahead of 2008 Olympian Becky Holder on the consistent grey Courageous Comet. 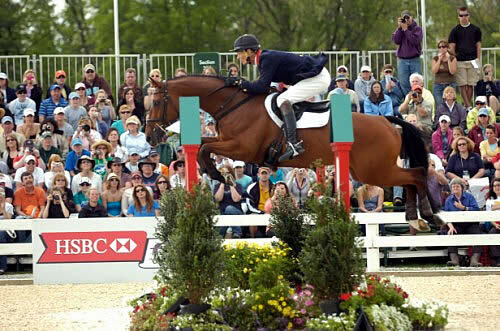 Phillip Dutton (USA) probably the most prolifically successful rider in the States, has three horses in the top 10: The Foreman, 7th, Woodburn, who has been withdrawn from the Mitsubishi Motors Badminton Horse Trials due to the volcanic ash crisis, in 8th and Waterfront in 10th. 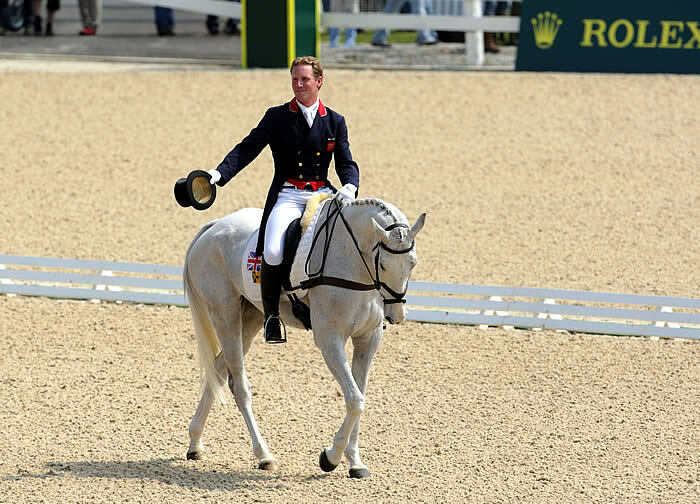 The organisers took pity on Oliver Townend (GBR) after his marathon 55-hour journey to Kentucky and rescheduled his first horse, ODT Master Rose, to the second day of Dressage. Bidding to be only the second rider to achieve the Rolex Grand Slam, he is lying 6th on new ride Ashdale Cruise Master and 9th on ODT Master Rose. Townend, who won the 2009 HSBC FEI Classics™, travelled from his home in Shropshire by several trains to Paris, where he found there was a train strike. Undaunted – and unable to speak any French – he struck a bargain with a taxi driver to take him on a 14-hour drive to Madrid, where he met up with William Fox-Pitt and Ireland’s Geoff Curran and flew on to Miami. “My entire career has been building up to this and I wasn’t going to let it slip away just because of a volcano in Iceland!” said Townend, who was 8th at Kentucky last year on Carousel Quest. “I’m going to stay positive and see how I get on. It’s all a bit of a chance, but they’re good horses. There had to be a hasty switch round of Ground Jury at Kentucky, due to the lack of flights from Europe. Marilyn Payne (USA) has replaced Anne-Mette Binder (DEN) and Christian Landolt (SUI) has taken over from Sue Baxter (GBR), both of them joining Ulrich Schmiz (USA). Technical Delegate Tom Ryckewaert (BEL) was also delayed – Gretchen Butts (USA) was holding the fort until he arrived, and Derek di Grazia (USA) was performing Course Designer duties until Mike Etherington-Smith (GBR) could arrive. For further information on the HSBC FEI World Cup™ Eventing, including Rules and Standings, visit www.feiworldcup.org. Previews, reports, results and photographs for each event will be available from the FEI throughout the season. 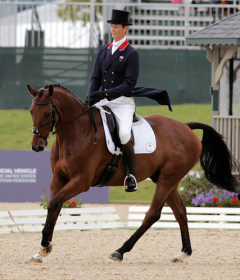 Day 2 of Dressage at the 2010 Rolex Kentucky Three Day Event as William Fox-Pitt takes the lead on Cool Mounting. 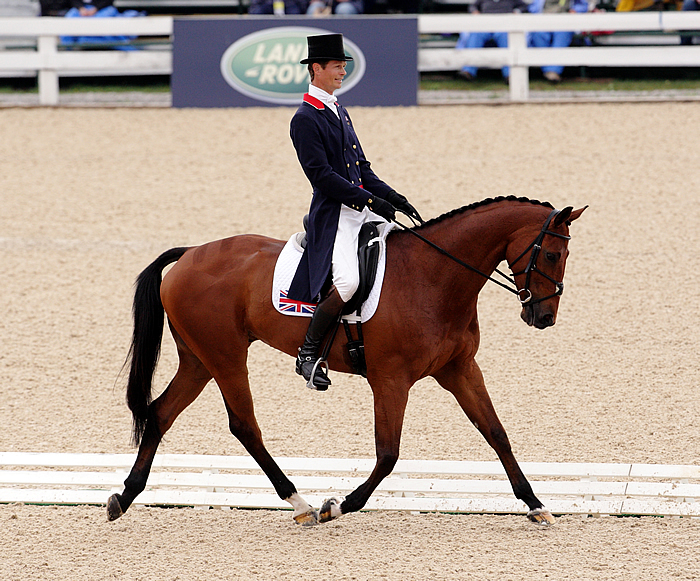 Listen in as we speak to the leaders after Dressage and we look forward to Cross Country on Saturday…. Picture: With four leaders after four sessions of dressage at the Rolex Kentucky Three Day Event, Great Britain’s William Fox-Pitt took the lead aboard Cool Mounting, scoring a 42.8. Allison Springer, aboard Arthur, remains tied with Karen O’Connor and Mandiba with a score of 43.7, while Kim Severson and Tipperary Liadhnan marched into fourth place with a score of 44.8. Photo by Josh Walker from useventing.com. Picture: Oliver Townend (GBR) and ODT Master Rose, joined 51 other entries at the first horse inspection at the Kentucky Horse Park in Lexington, KY, for the Rolex Kentucky CCI4*. While every pair passed to the next round, Bonnie Mosser and Merloch, Boyd Martin and Rock On Rose, and Ian Roberts and Napalm were all held for re-inspection, but eventually passed. Josh Walker photo from useventing.com. 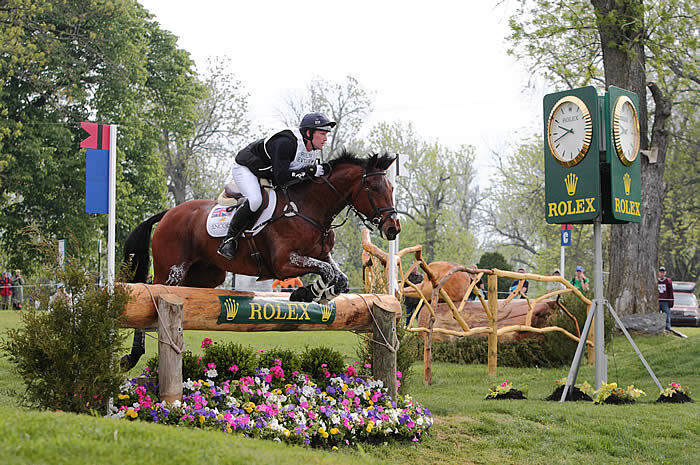 57 horses are set to go in the Rolex Kentucky Three Day Event. Don’t miss our Play by Play full day coverage starting Thursday. See all of our coverage. See the entry list here. Guest Co-Host: Greg Tryon, horse husband of Amy Tryon. 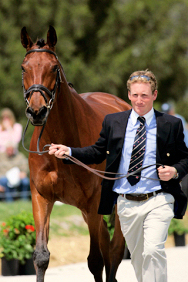 Guest: Oliver Townend on his adventures getting to Kentucky. Guest: William Fox Pitt who is always a contender for Rolex.